Whether you are considering joining a medical aid for the very first time, or whether you want to make sure that your medical cover is still offering you value for money, follow these straightforward steps to find your way through the maze of medical aid options in South Africa. It is important to check at least once a year whether your medical scheme still meets your and your family’s needs. If you or a dependant has been diagnosed with a chronic illness, or if your family is expanding, it will certainly make sense to review your medical aid contributions and benefits. It is also a good time to review your medical scheme at the beginning of the year, when your medical aid has announced increases in tariffs and possibly cuts in benefits for the coming year. Medical inflation in South Africa stands at about 8%, so if your premiums increase significantly above this rate, or your benefits are cut in addition to increases in subscriptions, you may want to look elsewhere. While you obviously have to keep in mind the waiting period for new members when changing medical aids, and it therefore does not make sense to change too frequently, you may find that the cost-benefit ratio of your scheme has altered to such an extent that you may easily recoup the cost of a waiting period on a new scheme by lowered premiums. 2. How much cover do you need? The best way to determine the level of medical cover best suited to you and your dependants is to review your medical expenses over the past year, while also making provision for emergencies. Do a health audit of your and your dependants’ health to determine the costs you are likely to incur over the next year and adjust your cover level accordingly. For example, if you anticipate hospitalisation, you could migrate to a plan that does not require a co-payment. To do a health audit you can consult your General Practitioner and give him or her a detailed medical history of your family. Life stage is also an important determinant of how much cover you will need. As you grow older, you may find your medical claims increasing, but be aware that families with young children may have even more medical expenses. 3. How much cover can you afford? 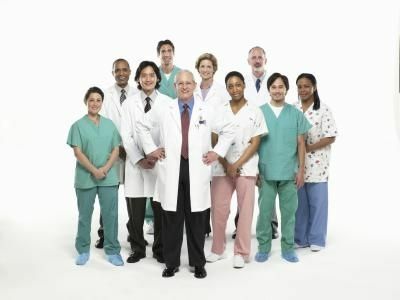 It is generally not recommended that you spend more than 15% of your monthly income on medical cover. This may mean that someone at the lower-income end may be better advised to take out a hospital plan rather than comprehensive medical cover. At the higher-income end the best option will definitely be a full benefit package. If you have trouble determining how much of your income you can reasonably spend on medical cover, you may want to discuss this with a financial adviser. You may consider consulting a medical aid broker: Be aware that some brokers are affiliated with specific medical schemes, while others operate independently and may give you more objective advice. Medical aid brokers have to be accredited with the Council for Medical Schemes, and while their advice is free, you are not obliged to follow their recommendations.